Let’s Talk about Family Gallery Walls! Let’s talk about family gallery walls! Gallery walls are not only stylish and beautiful, but they are a great way to make your house feel like home. Gallery walls can be very simple with white or black frames, or more elaborate with carefully coordinated “mix and match” frames. Canvas would be another great way to display a gallery wall! Click here to read more about the artwork that we specialize in. They are also very easy to add on over the years as your family grows. There are several places in your home that a family gallery wall would work really well including a hallway, a staircase or an entry way. What’s great about a gallery wall, is that it can not only incorporate professional photos, it can include older family photos or cherish pieces of art. We’d love to meet with you and help you design one that you will enjoy every day! There are many websites out there that talk about the “DIY” option of family gallery wall design. Let me just tell you, as somebody that has done this in my own home it can be VERY time consuming…not to mention frustrating to hang the pieces so they are evenly spaced. Can you say 47 holes nailed into your sheetrock? AND if you don’t hang them correctly, they will be crooked in 5 minutes. 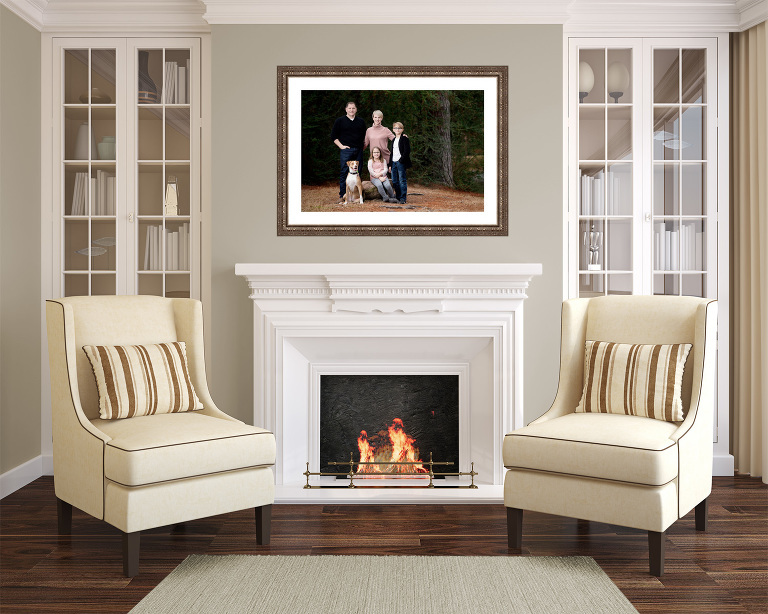 At Evin Thayer Studios, we are experts in designing family gallery walls that will go with your existing home decor. We have a professional installer that, honestly, impresses me how efficient he is at installing multiple pieces. Let’s just say, there is math involved so I stay far away! Call the studio today at 713-524-0199 or send us an email to get a quote on your family gallery wall!